The Siege of Calais (1940) was a battle for the port of Calais during the Battle of France in 1940. The siege was fought at the same time as the Battle of Boulogne, just before Operation Dynamo, the evacuation of the British Expeditionary Force (BEF) through Dunkirk. After the Franco-British counter-attack at the Battle of Arras, German units were held back to be ready to resist a resumption of the counter-attack on 22 May, despite the protests of General Heinz Guderian, the commander of the XIX Armee Korps, who wanted to rush north up the Channel coast to capture Boulogne, Calais and Dunkirk. An attack by part of the XIX Armee Korps was not authorised until 12:40 a.m. on the night of 21/22 May. 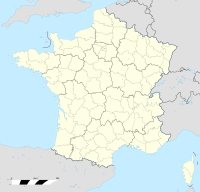 Samer(DvLz Azpect) is a commune and in the Pas-de-Calais department in the Hauts-de-France region of France. The Liane is a 37 km river in the Pas-de-Calais department in northern France. It rises in Quesques and flows into the English Channel at Boulogne-sur-Mer. Other communes along its length include: Selles, Brunembert, Bournonville, Alincthun, Crémarest, Wirwignes, Questrecques, Samer, Carly, Hesdigneul-lès-Boulogne, Isques, Saint-Léonard, Hesdin-l'Abbé, Condette, Saint-Étienne-au-Mont, and Outreau. Lieutenant General Sir Wellesley Douglas Studholme Brownrigg KCB DSO was a senior British Army officer who became Military Secretary. Arras is the capital (chef-lieu/préfecture) of the Pas-de-Calais department, which forms part of the region of Hauts-de-France; prior to the reorganization of 2014 it was located in Nord-Pas-de-Calais. The historic centre of the Artois region, with a Baroque town square, Arras is located in Northern France at the confluence of the Scarpe river and the Crinchon River. You are to die at your posts one by one rather than give in. ↑ One of the rescued soldiers was Arnold Ridley. 1 2 3 Ellis 2004, p. 155. 1 2 Sebag-Montefiore 2006, pp. 188, 190. ↑ Ellis 2004, pp. 153, 385. ↑ Churchill 1949, p. 53. ↑ Sebag-Montefiore 2006, p. 190. ↑ Sebag-Montefiore 2006, pp. 190–191. ↑ Sebag-Montefiore 2006, pp. 190–192. 1 2 Jackson 2002, p. 39. ↑ Ellis 2004, p. 154. 1 2 Thompson 2009, p. 50. ↑ Ellis 2004, pp. 153–154. ↑ Cooper 1978, pp. 227–228. ↑ Sebag-Montefiore 2006, p. 192. 1 2 Windsor Lewis 1940. 1 2 Jackson 2002, p. 40. 1 2 Ellis 2004, p. 157. ↑ Hawkins 2003, p. 70. ↑ Gardner 2000, pp. 8–10. 1 2 3 Ellis 2004, p. 158. ↑ Ellis 2004, p. 156. ↑ Sebag-Montefiore 2006, p. 198. ↑ Churchill 1949, pp. 70, 72. ↑ Ellis 2004, p. 159. ↑ Roskill 1954, p. 213. ↑ Baker 1986, p. 146. Baker, A. (1986). Battle Honours of the British and Commonwealth Armies. London: Ian Allan. ISBN 978-0-71101-600-2. Churchill, W. S. (1949). Their Finest Hour. The Second World War. II. Boston, MS: Mariner Books. ISBN 978-0-395-41056-1. Gardner, W. J. R. (2000). The Evacuation from Dunkirk: Operation Dynamo, 26 May – 4 June 1940. London: Frank Cass. ISBN 978-0-7146-5120-0. Hawkins, I. (2003). Destroyer: An Anthology of First-Hand Accounts of the War at Sea 1939–1945. London: Conway Maritime Press. ISBN 978-0-85177-947-8. Jackson, R. (2002). Dunkirk: The British Evacuation, 1940. London: Cassell Military Paperbacks. ISBN 978-0-304-35968-4. Roskill, S. W. (1954). The War at Sea. History of the Second World War. I. London: HMSO. OCLC 174453980 . Retrieved 26 August 2015. Rickard, J. (18 February 2008). "Battle of Boulogne, 22–25 May 1940". Military History Encyclopaedia on the Web. Retrieved 26 August 2015. Windsor Lewis, J. C. Report of Operations, 21st – 24th May, 2nd Battalion Welsh Guards by Major J. C. Windsor Lewis. The National Archives Catalogue Reference (Report). CAB 106/228. Retrieved 26 August 2015. Frieser, K-H. (2005). The Blitzkrieg Legend (trans. ed.). Annapolis, MD: Naval Institute Press. ISBN 978-1-59114-294-2. Guderian, H. (1976) . Panzer Leader (repr. Futura, London ed.). London: Michael Joseph. ISBN 978-0-86007-088-7. Horne, A. (1982) . To Lose a Battle: France 1940 (repr. Penguin, London ed.). London: Macmillan. ISBN 978-0-14-005042-4. Warner, P. (2002) . The Battle of France, 1940: 10 May – 22 June (repr. Cassell Military Paperbacks, London ed.). London: Simon & Schuster. ISBN 978-0-304-35644-7. 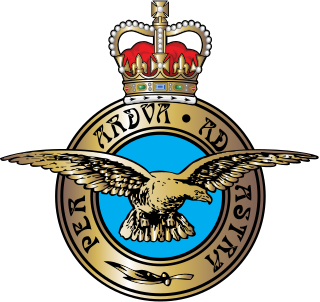 Operation Aerial was the name given to the Second World War evacuation of Allied forces and civilians, from ports in western France, from 15 to 25 June 1940. The evacuation followed the military collapse in the Battle of France against Nazi Germany, after Operation Dynamo, the evacuation from Dunkirk and Operation Cycle, an embarkation from Le Havre, which finished on 13 June. British and Allied ships were covered from French bases by five Royal Air Force (RAF) fighter squadrons and assisted by aircraft based in England, to lift British, Polish and Czech troops, civilians and equipment from Atlantic ports, particularly from St Nazaire and Nantes. HMS Jackal was a J-class destroyer of the Royal Navy. Completed in 1939, Jackal served in the Norwegian campaign and the Dunkirk evacuation before being deployed to the Mediterranean in 1941. Jackal took part in the Battle of Crete, and was scuttled after being heavily damaged by German bombers on 12 May 1942. HMS Whitshed (D77/I77) was an Admiralty modified W-class destroyer of the Royal Navy. She was ordered from Swan Hunter & Wigham Richardson Ltd under the 14th Order for Destroyers in the Emergency War Program of 1918–19. She was the first ship to carry the name. HMS Wild Swan was an Admiralty modified W class destroyer built for the Royal Navy. She was one of four destroyers ordered in 1918 from Swan Hunter and Wigham Richardson, Wallsend-on-Tyne under the 14th Order for Destroyers of the Emergency War Program of 1917-18. She was the second Royal Navy ship to carry the name, after the sloop HMS Wild Swan in 1876. Like her sisters, she was completed too late to see action in the First World War. The Boulogne Bowl was presented to 168 Pioneer Regiment RLC(v) by the Royal Pioneer Association on 15 November 1997 to commemorate the Defence of Boulogne in May 1940 by the Regiment's predecessors. The Beauman Division was an improvised formation of the British Expeditionary Force (BEF) during the Second World War, which fought against the German 4th Army in June 1940, during Fall Rot, the final German offensive of the Battle of France. HMS Venetia (D53) was a V-class destroyer of the British Royal Navy that saw service in World War I and World War II. HMS Venomous (ex-Venom), was a Modified W-class destroyer of the British Royal Navy that saw service in the Russian Civil War and World War II. The third HMS Windsor (D42) was a W-class destroyer of the British Royal Navy that saw service in the final months of World War I and in World War II.